For Tim Holton, who has a fine knack for framing critical issues in as few words as necessary. As you know from the last post (#106), I intended it to serve as the entrée to a second offering (and, indeed, to a third and a fourth). But, as so often happens when reading Ruskin, something suddenly emerges that alters what you were planning, surely for the good. And so it is that, without abandoning that earlier plan, I send out these words from the Master today for your reflection. They appear near the end of the first part of his fairly late book on botany–on plants and flowers–which he called, Prosperina, after the beautiful mythological lady who was stolen away to the underworld by the (not always kind) spirits of that darker place. The intent of his book was to propose to his readers that all those Latin and Greek words and phrases we use to describe such wonderful living things actually serve to put us off a real and spontaneous appreciation of them. He is not sure, for example, that to call a daisy a Bellis perennis is a particularly good idea. Why can’t we just call it a “daisy”? We all know what it means and to transmute it into a language only understood by scientist or specialists distorts our appreciation of it. 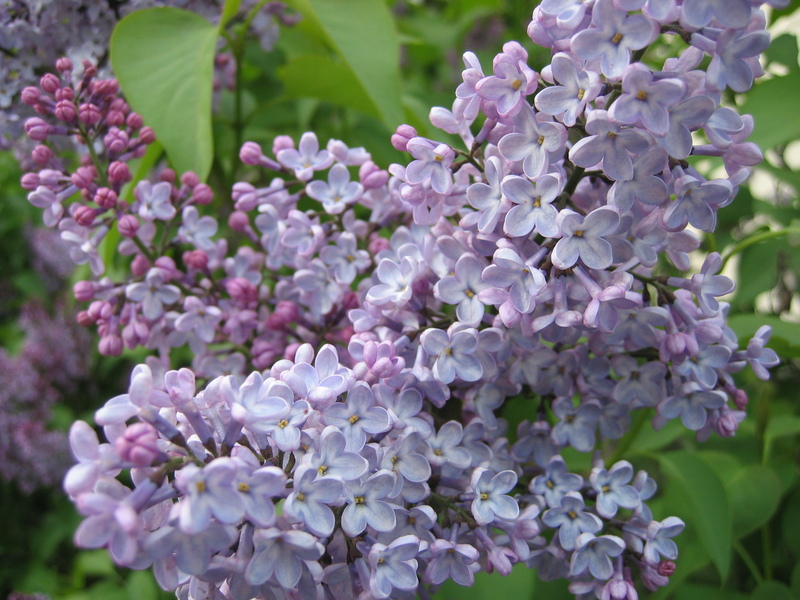 and lilacs, lilacs, instead of Syringa vularis (!)? I haven’t yet explained why thinking of Tim Holton got me thinking about Prosperpina. Here’s the story. Not long ago I was at a conference on Ruskin that was held at the beautiful Swedenborgian Church in San Francisco. I gave a talk on Ruskin’s love of beauty, stressing how he had said (often) that it was incumbent on anyone undertaking any task to do it with all one’s might and to bring it to as close to perfection as one could. After the talk, during the Q and A, Tim reminded me of some other things Ruskin had said: first, and most importantly, that no work is ever perfect, and second that, in that imperfection in the work lies its humanity, its glory, and its stimulus to do better next time. He said all this in a sentence. A sentence which, not long after, got me thinking about Prosperpina and Ruskin’s argument about how a rigid, supposedly “perfect,” system of classification (which no normal person could easily understand) actually destroys the delightful imperfection of the flowers and our perceptions of them, destroys the uncapturable reality of these marvelous living things and reduces to an after-thought (when it is, in truth, the primary thought) our own vibrant and variant reaction to them. At least I think that was the process that led to this post. This entry was posted in Life, Truths and tagged buttercups, daisies, John Ruskin, lilacs, Proserpina, Ruskin. Bookmark the permalink. Thanks for the brief post about imperfection and simplicity, Jim. What did Ruskin propose as a simpler taxonomy, given that one lilac, from variety to variety, is also not like another in important ways? Thank you for the dedication! I confess I’ve not gotten into Ruskin’s scientific essays, and so this was a welcome insight, and another manifestation of his heart’s great desire to connect the whole of creation. The imperfection theme elsewhere is understood as a necessary aspect of vitality. So we can assume that he saw in the imperfections of classification the vitally changing and evolving state of ever living thing.